What if I tell you that ordering a software development would be such easy process as buying food in supermarket. I want something to buy — I pick up the best (in my humble opinion) products from the storefront.And that’s definitely all the process! Simple as one, two and three! 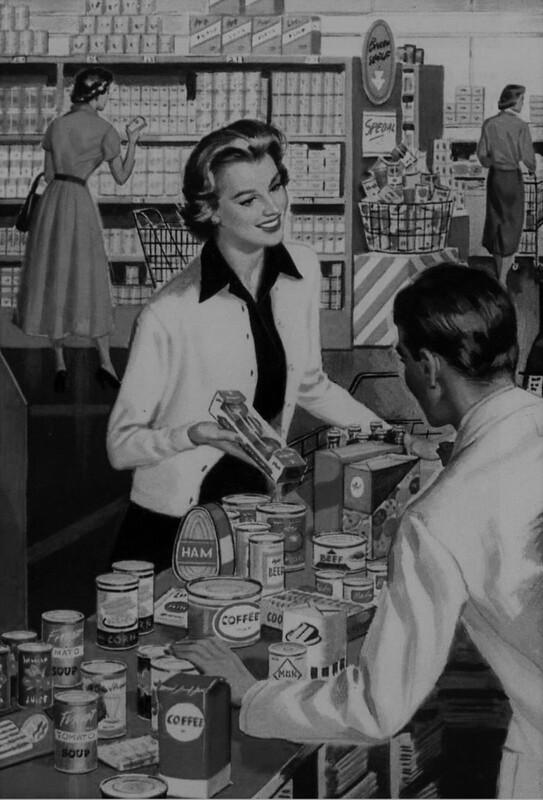 And the simplicity is the reason why supermarkets are so popular. Also, there are a lot of assistants walking around and ready to help you in choosing the cheese, ham, bread or something. So, why IT services are still not as user-friendly as they might be? Before asking: “Aren’t there a lot’s of freelancers markets?”, you should think what is better — hiring a freelancer or a professional team which clients’ names are big and reputation is perfect. I work in IT sphere for a long time and I do know all the pitfalls and nuances of this business. 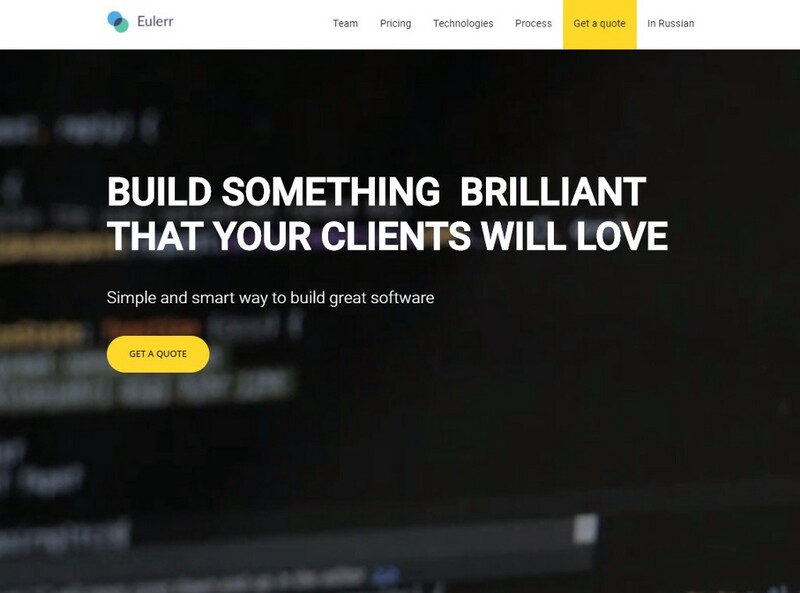 The idea behind Eulerr is that the custom software development should be changed. Our main principal is to work with small iterations on a unified process. We try to bring the product to the market as soon as possible, and we deliver every two weeks. 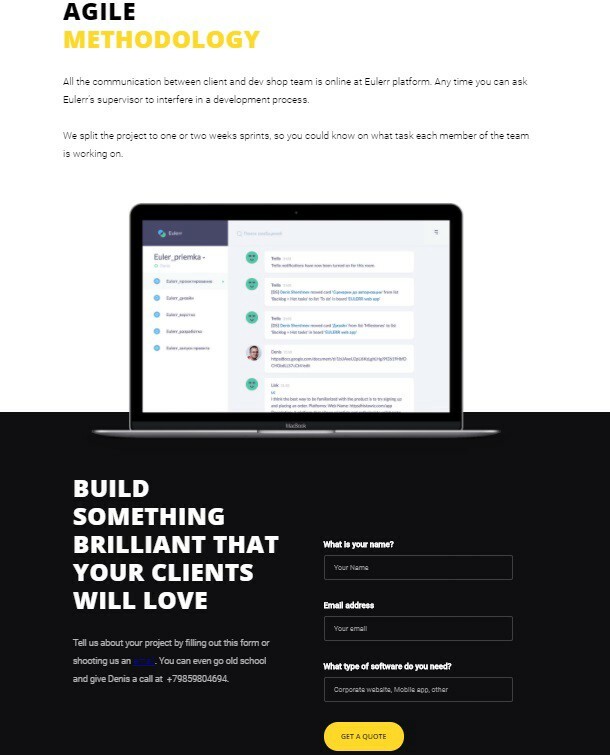 Personally, I believe, that small teams can achieve greater results that freelancers, because the teams have something to loose — reputation. At the moment we are working with teams from the countries of the former Soviet Union at a flat rate of $30/hr and $50/hr, let’s see what comes out of this. From boutique service with untransparent processes and pricing to software as a service with clear rules. Our dream is to made a product which will have a quite huge traffic per, giving the clients to our partners (soft dev. teams). 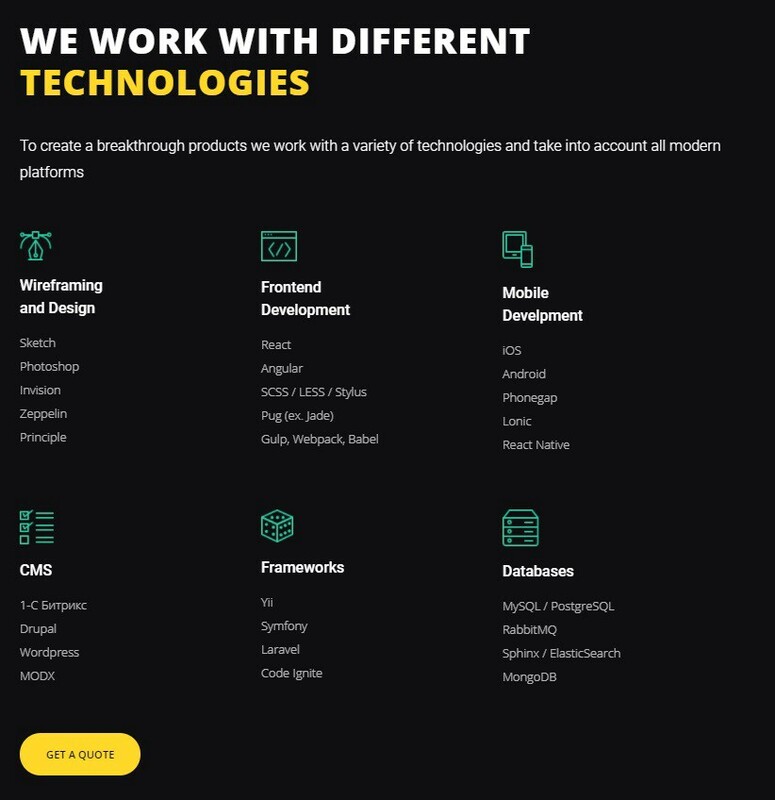 It should be mentioned that we are planning to work with clients all over the world — there should be no limits if we want the new era of custom software to become! Well, this paragraph is confession. Everything we have done, all the conceptions we tried and money we spent — everything is here! In the real beginning making a messenger-like service seemed to be a good idea. Interface was minimalistic — there were no interface at all. Can somebody approve that the Telegram and What’sApp messengers are not cool! Nope! They are cool! So, the decision was easy. 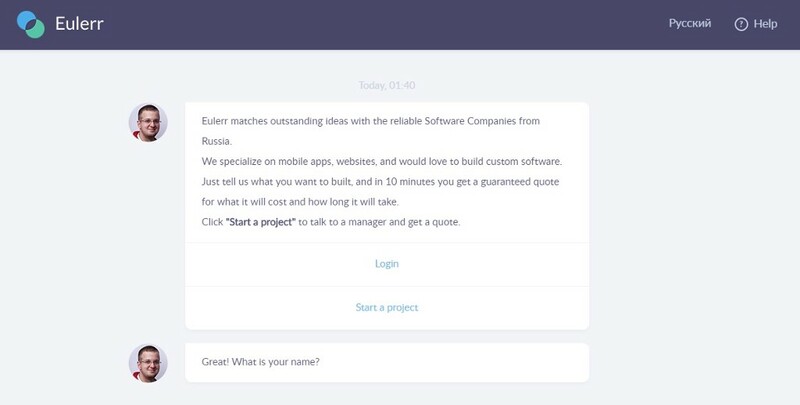 The client opens the Eulerr’s link and here the miracle begins! He do not need to choose teams — everything is done by the manager. Everything we asked from the client is to continue the conversation. Also, you have a personal chat-account to attach documents and links. After finishing the base functionallity the advertisment company has begun. After the $1000 attachments in traffic nothing happened. It was not clear for users what should they do. Nobody could say what exactly went wrong… Who knows? Despite the unlucky first try this situation gave us a lesson: We have developed the design by our own strengths and we have ordered the backend work from EvolTech studio. Collaboration was not as successful as we wanted it to be and it was our fault! The development process was not correct. Design first and then all the rest work — you shouldn’t do that! There were 2 project managers which also means that some misunderstandings may appear. It was a lesson: only one team should respond for the final product! 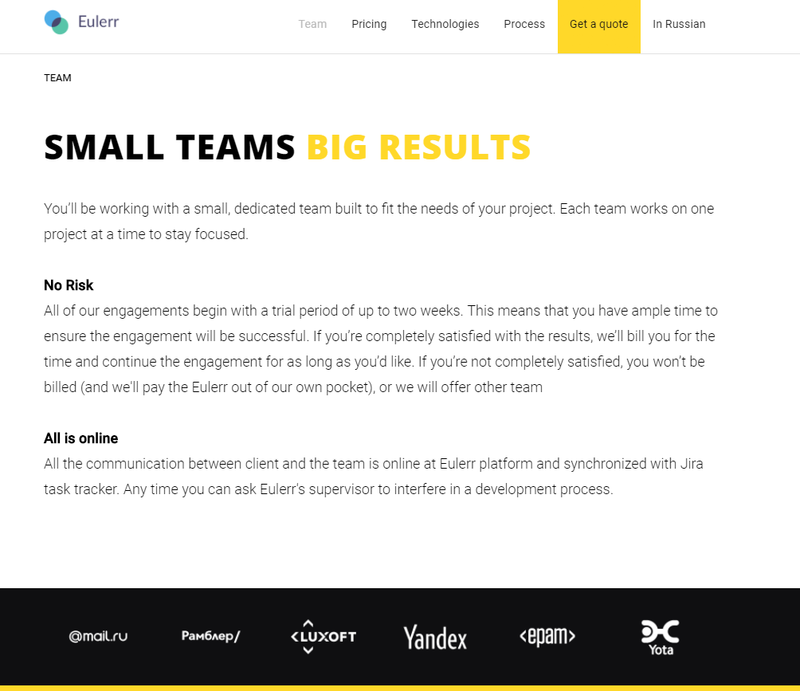 Anyway, we are on a good terms with guys from Evoltech — they were one of the first Eulerr’s partners after the Rebranding! 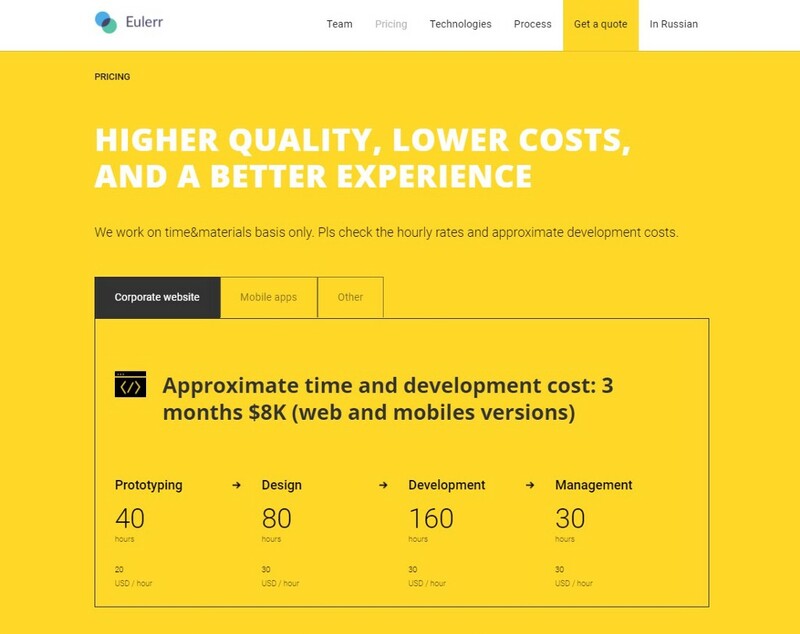 In later versions of Eulerr we have decided to focus on a standart web service developed with lean principles. We decided that agile methodology is what we and our teams need! Our developers have changed the way they’ve worked before to agile methods! 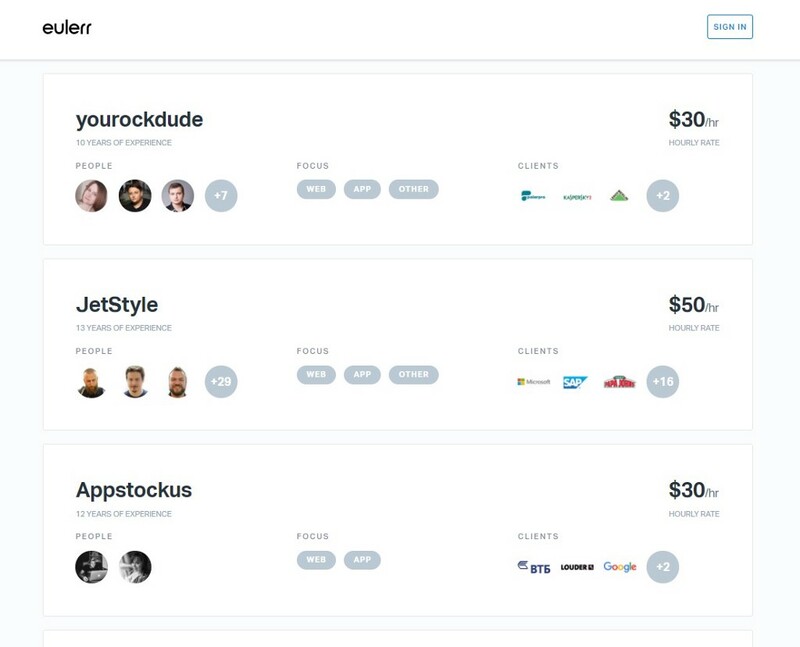 Frontend was remade by the Appstockus team! 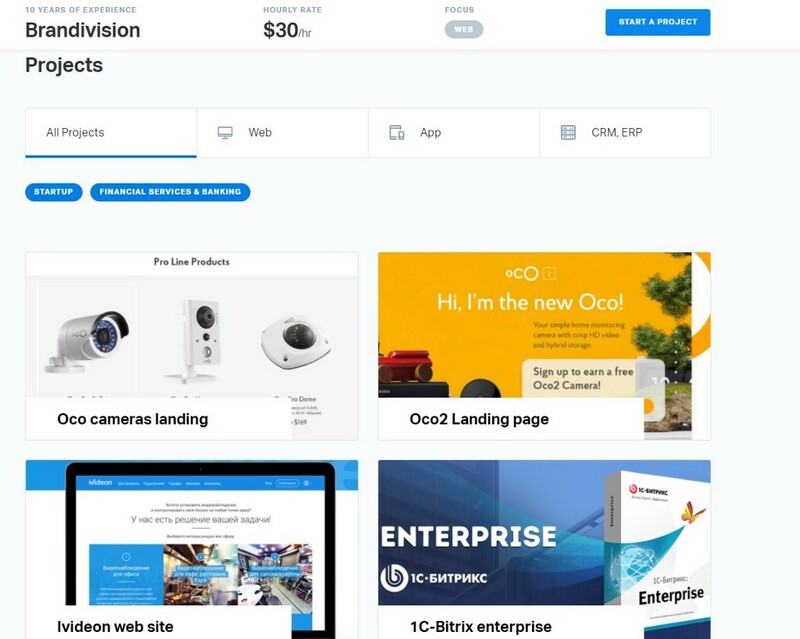 The main innovation in third version is the teams marketplace with a lot of information about each team’s projects, clients, team members and awards (if there are any). THat is a brief description of how we work! 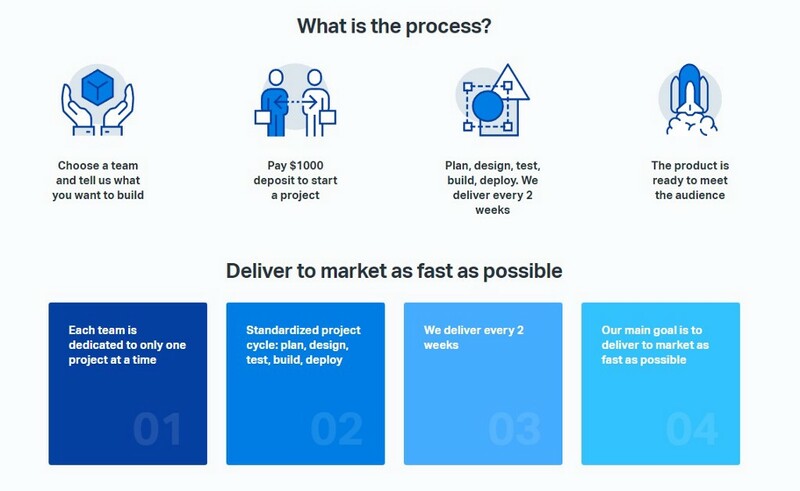 By now, we have a 40 teams at the web site who are ready to take your project. 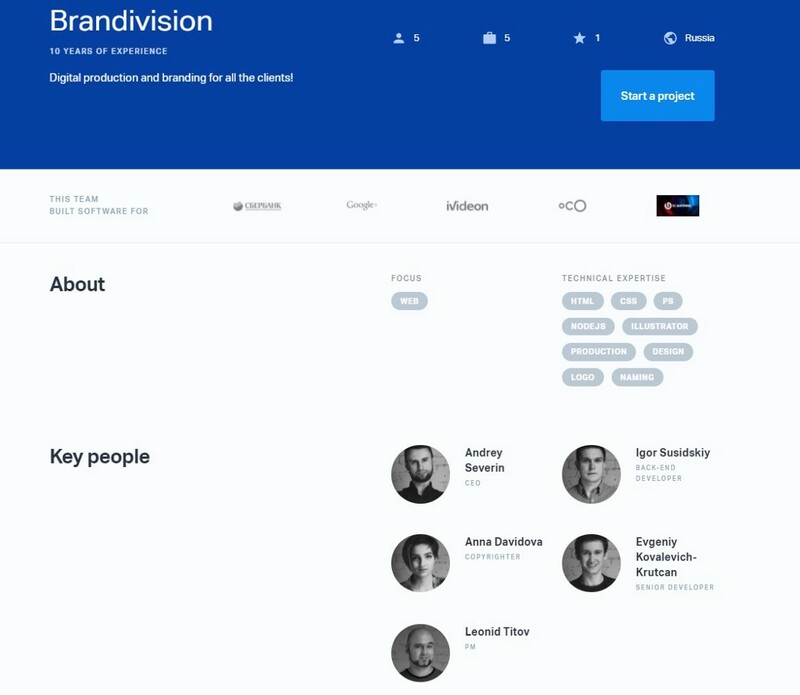 Each team’s got it’s own page with project examples and the other important information. Generally, Agile is not a technical feature, but it should be mentioned here! This method of creating products become more and more popular year by year. 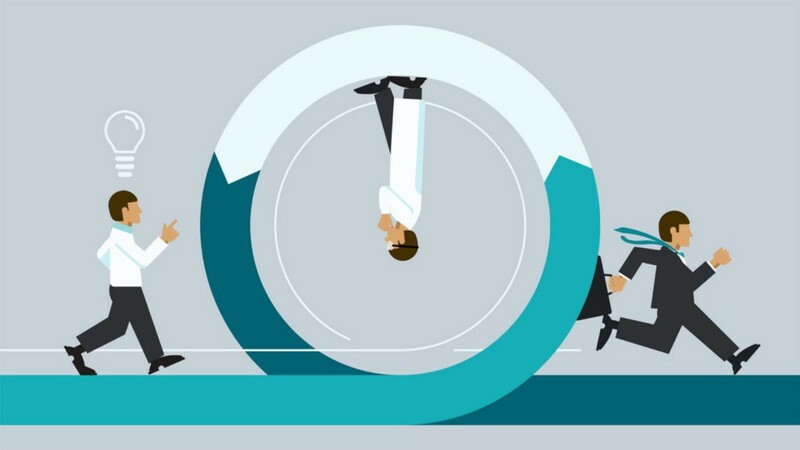 Agile is a time boxed, iterative approach to software delivery in which the developers create software week by week. So, new features are coming and coming iteratively from the beginning of the project till the project is finished. Despite the waterfall method when engineers are trying to deliver it all at once near the end. Agile’s main point is to break huge goals into the little ones, which are delivered by the clients each iteration (about two ort three weeks). This little goals are called User stories and they are always clearly prioritized! Container Orkestration tools like kubernetes or docker swarm. It should be said that technologies which we use are not the thing we are really proud of. Each IT startup should use technologies that suites best for particular issues. What we really appreciate is our partners — software development teams — and the coolest projects they have done! Cloud services. The storage was only the beginning. Do you want to write code as a professional? Read this.